These poems pay tribute to a much loved friend who has meant much in your life and express what a special person he/she was and how much he/she meant to you. The verses may be used on their own. 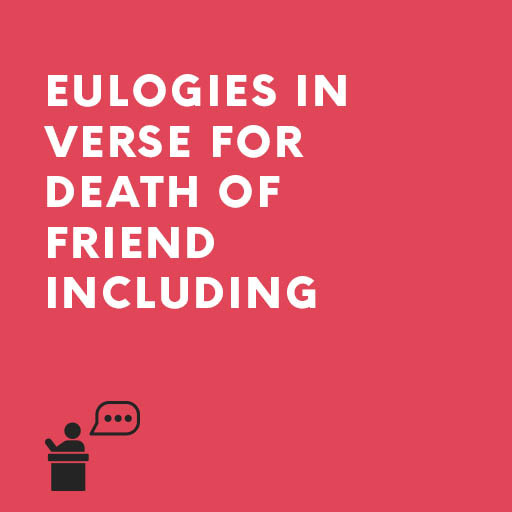 Order our Ready-to-Go Eulogy in verse for friendThese poems pay tribute to a much loved friend who has meant much in your life and express what a special person he/she was and how much he/she meant to you. The verses may be used on their own.